Students of Iris Gelly Primary in Kingston listen attentively to a school administrator ahead of GSAT earlier this year. 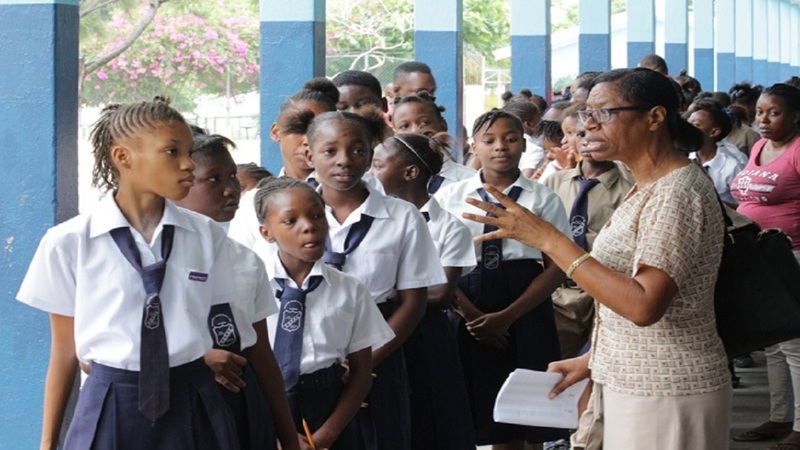 The Ministry of Education is reporting that 99 per cent of the almost 40,000 students who sat the Grade Six Achievement Test (GSAT) this year have been placed in high schools. The high school placement, the highest level in history, is two percentage points higher than 2016. 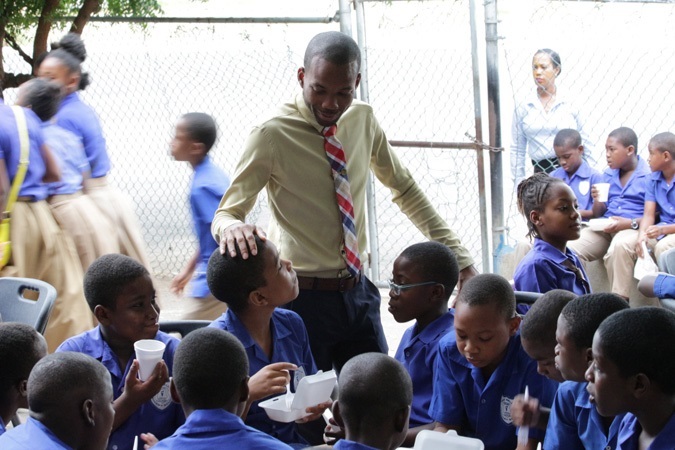 The remaining one per cent of students were placed in all-age and junior high schools. Their collective number represents a 46 per cent decline from the number that was recorded last year when 1,051 students were placed in all-age and junior high schools, as against 568 this year. The ministry said the sharp decrease in placements outside of high schools resulted from its thrust to phase out all-age and junior high schools from the education system. The ministry also advised that 79 per cent of the 2017 GSAT cohort were placed in schools of their choice, the students having been asked to name seven schools of choice ahead of the examination. A total of 39,729 students were registered for the test, with 1,521 failing to show up. The results of this year’s GSAT performance were made at a press conference at the Education Ministry’s Heroes Circle head office in Kingston on Thursday. This year’s GSAT was the penultimate sitting of the examination that was introduced in 1999. It is to be replaced in 2019 by the Primary Exit Profile (PEP).